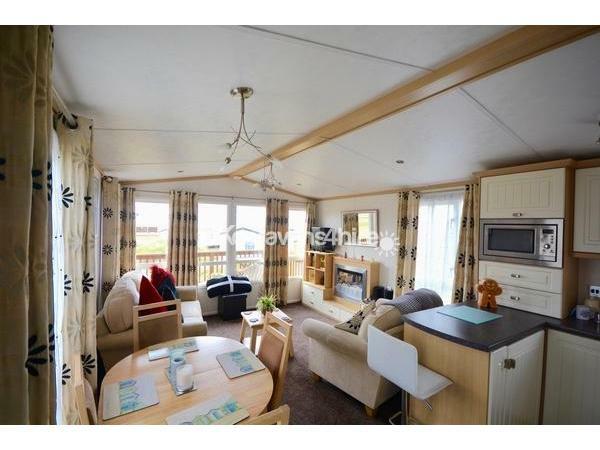 Additional Info: This magnificent, luxury caravan is graded by Haven as 'Prestige'. 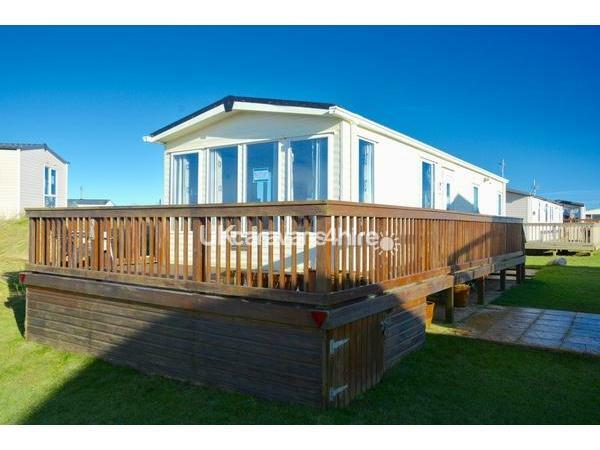 Located in a fabulous position on Chy-an-Mor, with full wrap around decking and veranda, from which you have glorious sea views. Nestling within the rolling sand dunes of Perran Sands, you are close to both the site amenities and the walkway down to the beach. There is outdoor patio furniture, an additional TV in the Master Bedroom. There is also an iron and ironing board provided meaning less for you to pack. You even have a parking next to the caravan. A 25% non-refundable deposit secures your booking. The balance must be paid 4 weeks prior to your arrival date. If you book inside the 4 weeks, payment must be made in full at the time of booking. Payment can be made by Bank Transfer, PayPal or Cheque via our secure payment portal. An electronic receipt will be provided. Smoking is strictly prohibited. A £100 refundable deposit is also required when your payment is made in full, which is to cover any damage, breakages, loss or evidence of smoking during your stay. 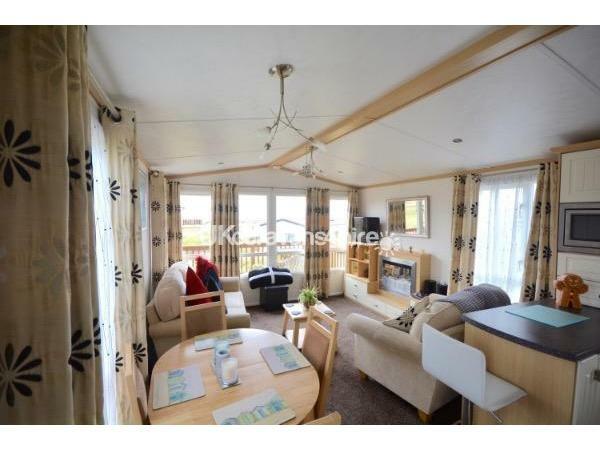 This will be refunded within one week of departure following successful inspection. You may check-in from 3pm on the day of arrival and check-out on departure day is by 10am. Available throughout July & August - See the price & availability link for details. 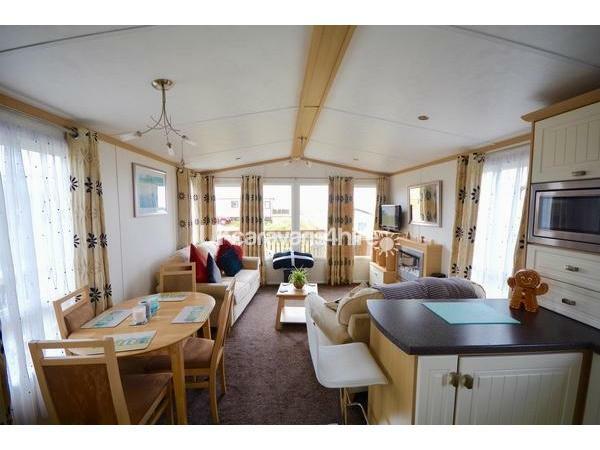 This is a magnificent, luxury, 35 x 12, 2 bedroom, 6 berth caravan. 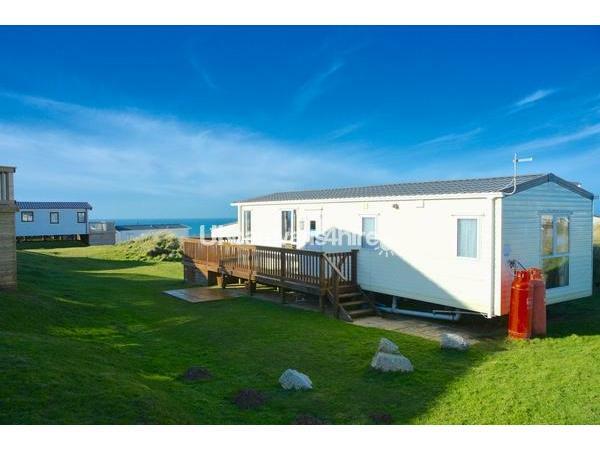 It is located in a fabulous position within Perran Sands Holiday Park in beautiful Cornwall. Enjoy fabulous panoramic sea views from the front, south westerly facing balcony, you will enjoy sunshine throughout the day (Cornish weather permitting). Complete with patio furniture, it is indeed the perfect place to sit and relax. 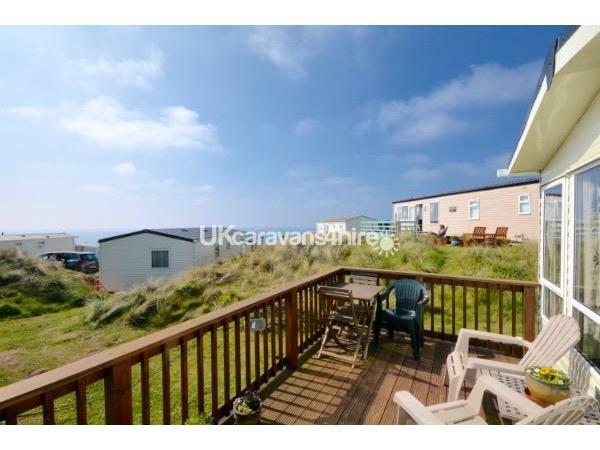 It is just a short walk from the site amenities and also the pathway which provides direct access to the stunning beach with is both private and lifeguard patrolled at peak times. 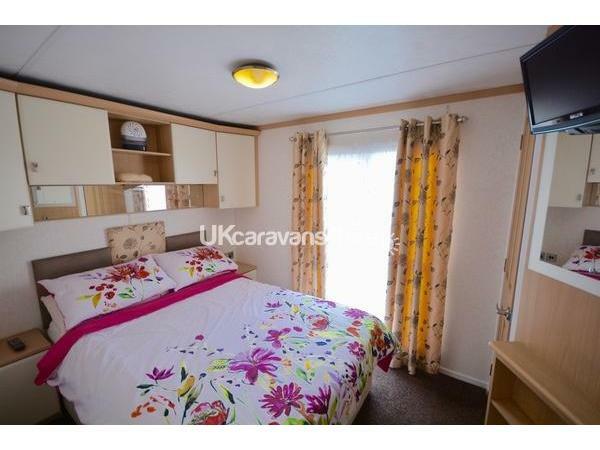 You will also have ample car parking to the side of the caravan. Graded as 'Prestige' you will enjoy all the little touches that will make your holiday experience even more special. With central heating and double glazed windows you are guaranteed to be warm and cosy even on a chilly night. This spacious lounge with 3/4 length windows ensures it is light and airy and also provides amazing views. 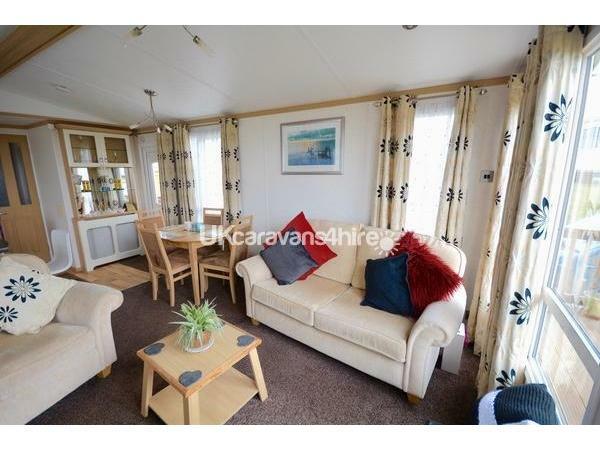 With a comfortable sofa, modern cream units, flat screen TV, DVD and free standing coffee table. There is a good sized dining room table with 4 comfortable chairs with patio doors onto the side deck. 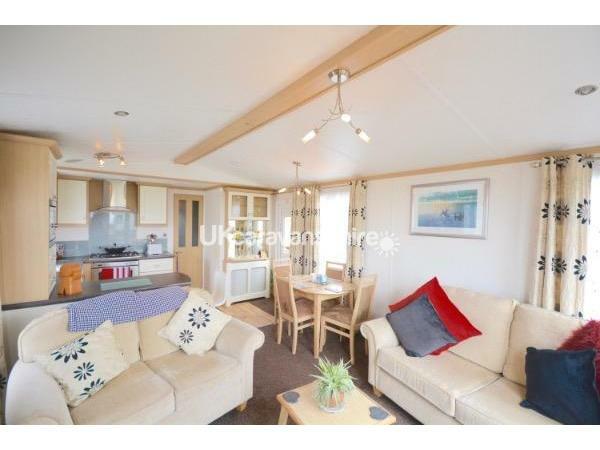 A modern looking well equipped kitchen contains everything you should need and comprises a full sized oven & hob, integrated fridge, separate freezer and microwave oven, plus kettle and toaster. A 4'6" double bed complete with duvet, pillows, ensures you have everything you need for a perfect nights sleep. 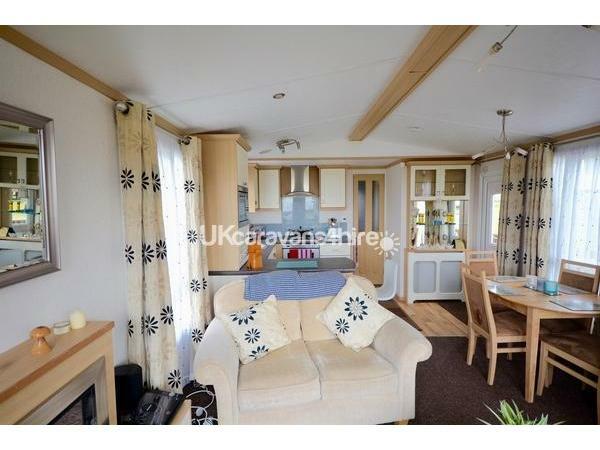 There is plenty of storage too with lovely fitted wardrobes, bedroom unit with flat-screen TV. Separate WC & wash basin. 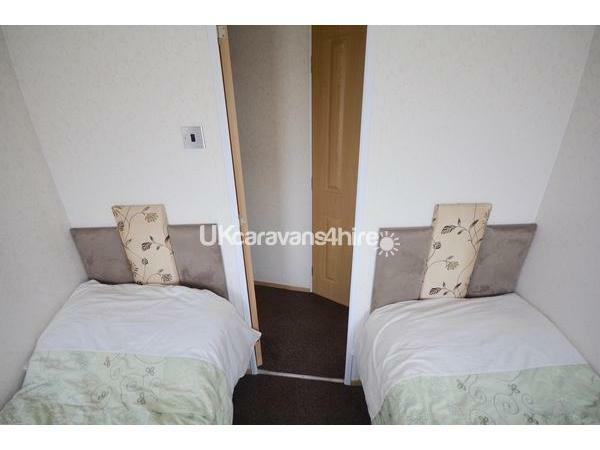 Contains 2 single beds and again comes with duvets, pillows. Contains large shower, WC & washbasin.